Pennies Make a Comeback | Do the twisted. 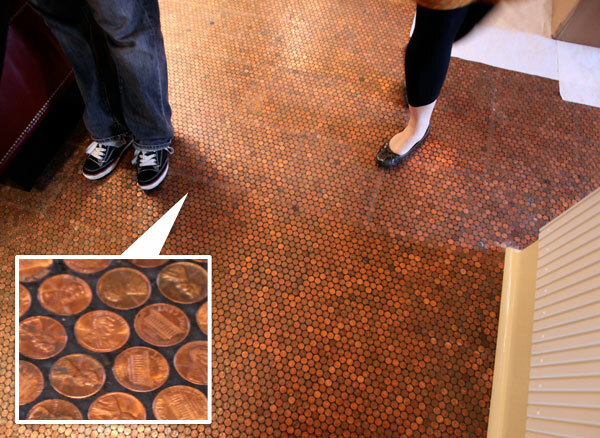 Finally, a use for pennies! After all these years, good ole honest Abe has taken to decorating walls and floors. Let’s just hope the majority are heads side up, cause otherwise, that place will be capital H haunted with bad luck for life. 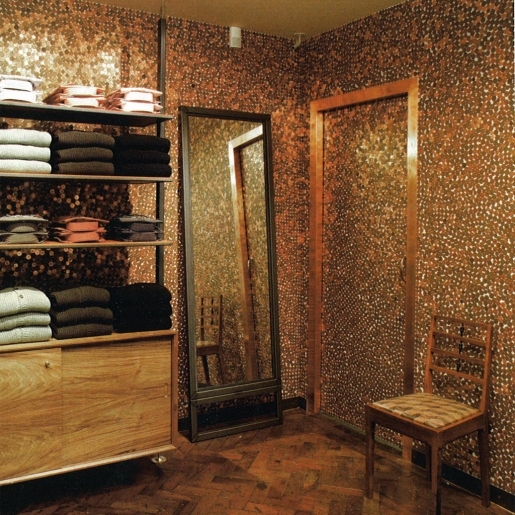 Penny tiling at Paul Smith’s boutique in Paris.